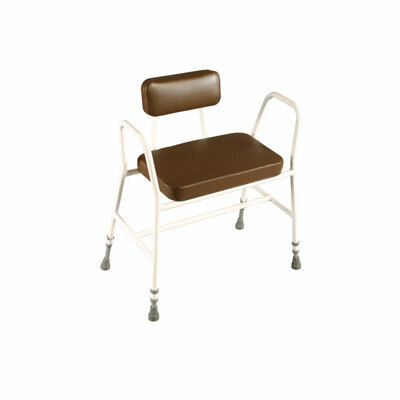 The Drive Bariatric Perching stool is available in White or Brown. Comes with tubular arms and is height adjustable. This model features a padded back.